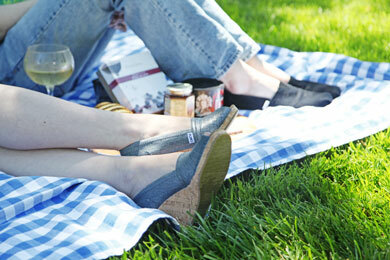 Make your picnic "waste free"
Picnicking is a great way to relax outdoors with family and friends. You can keep your picnic friendly to the environment as well. A "waste-free picnic" means nothing from your outing ends up in a landfill and all leftover materials are reused, recycled or composted. Check out these tips for creating your own waste-free picnic. Join our Give STL Day Waste-Free Picnic! Celebrate sustainability, philanthropy and the great outdoors with us on Give STL Day. We’ll have games, recycled crafts and Bombay Food Junkies food truck. Bring your picnic, your friends, your dog—anyone you know who loves the environment and our community. EarthWays Center will recycle and compost materials from the event. A party for planet means nothing in the landfill! Please support these great organizations on Give STL Day.